The heart of every great restaurant is the menu. The building of a menu impacts every other aspect of the business, in fact – every other aspect of the restaurant should be designed to support the style of cooking and the specific dishes that become center stage to the experience. 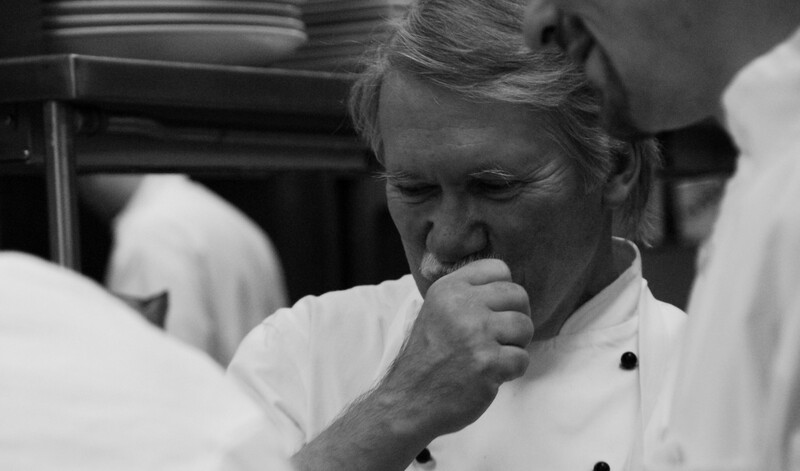 The process that a chef follows should be artful, scientific, and deeply personal. When this synergy happens – the results can be extraordinary. Some may argue that the menu should be solely designed in recognition of what the customer wants to buy, but this theory doesn’t account for the multitude of factors that distinguish an average establishment from one that is noteworthy, exciting, and important. The menu, to be truly exceptional, must be a reflection of the soul of the operation. If the menu is the heart then the people, their beliefs, their passion, and their history are the soul. To be great, a restaurant needs heart and soul. We have all experienced restaurants with a great location, beautiful décor, the best equipment, and energetic staff that simply can’t quite bring it all together. It is the heart and soul that defines when a restaurant will be great or when it will be simply OK. Here are some thoughts on how any restaurant can move from good to great through thoughtful menu design. It is very difficult to truly cook great food unless there is some level of connection to the history and style of cooking, its ethnicity, the cultural elements associated with it, and the people who call this style their own. If you do not hail from the culture of a cuisine then you must learn as much about it as you can from the ground up. Really – how can you cook extraordinary Italian food without visiting Italy, working with those of Italian heritage, build friendships with people who honor the traditions of Italy, and learn the techniques associated with authentic Italian food preparation? The same holds true with French, German, Scandinavian, Japanese, Chinese, Greek, African or even Regional American food. Some of the simplest foods are the most complex to prepare correctly. There must be a base of knowledge that goes beyond the “how to” and comes from a place of truly deep understanding of “why”. Try making fresh pasta from just eggs and flour and you will understand that this simple dish is incredibly complex to understand and make well. The same holds true for fantastic artisan bread that is drawn together from flour, salt, yeast (or starter), and water. How simple, yet how difficult to master. Some people invest a lifetime learning how to make great bread. A great menu is derived from an understanding that drills down to the most basic components and process for making a dish. Watch the fish butcher perform in the windowless kitchen at Le Bernadin in New York City and then you will appreciate the role that technique plays in building the most important seafood restaurant in the country. Marvel at a pizza maker in an obscure neighborhood pizzeria in Brooklyn or Chicago as he or she stretches and throws the dough forming a perfectly round and remarkably thin dough, top it with a house made sauce and fresh stretched mozzarella and finish with olive oil and fresh basil. Become mesmerized as you watch the pizza come to life in a 750-degree wood-fired oven and immerge after a few short minutes as one of the truly great masterpieces of the kitchen. Check your culinary ego at the door while you gaze at a line cook who has total mastery over the char-grill or sauté station. The timing is spot on, the food is cooked to perfection, the mise en place is perfectly tight, and the dishes are assembled with confidence and ease even though the POS printer is spitting out a mind-boggling number of tickets. This is the technique that defines the execution of a great menu. To be great, the menu must share a seamless connection with the source of ingredients. It must be designed around the seasonality of and attention paid to how each ingredient is cared for and respected. When the components of a menu are referenced as “coming off the delivery truck” rather than as a masterpiece grown by a local farmer, cattle rancher, or coastal fisherman, then there is little chance for greatness. The restaurant that stands out is built around people who acknowledge certain beliefs that are unmovable. These beliefs are at the core of what the restaurant stands for and as such become the guiding light for everyone involved – including the guest. It might be only purchasing sustainable seafood, or being committed to local organic produce; it might be a focus on nutrition and healthy preparations; or it might simply be a focus on using fresh ingredients. What ever stands out as critically important to the chef and the owner and shared by all of the employees will become that symbol of greatness that sets the restaurant and the menu apart from the competition. Guests who rave about a restaurant and its food are one’s who trust that the exceptional experience that they had will be repeated each and every time that they choose to make a reservation. The menu and the people who prepare it must exhibit the integrity to never break that trust. Integrity has flavor. Passion is that special spice that makes everything about food truly extraordinary. Just like integrity – you can taste passion. When a cook or chef sees the food being prepared as an extension of who he or she is as a person, then the character of a dish takes on new meaning. Guests can sense when a menu is built from the foundation of passion. To me, one of the great sins in menu design is when the list of items lacks connection. The connection might be style, ethnicity, or core ingredients, but at the very least the connectivity should “make sense”. If you move backwards by planning the entrees first then it only makes sense that the appetizers, salads, and desserts work with the menu and are not isolated free agents. You want the guest to have multiple courses and as such a great menu is one that works in this fashion. This even carries further to encompass the wine, beer, and alcoholic beverage selection and even the coffee and tea program. Great menus are symbiotic. Great menus tell an interesting story demonstrating that they were not built on a whim but designed with great thought and heart. The story can evolve from the components of history and culture, reverence paid to technique, support of those who raised and nurtured the ingredients, or the culinary background of the chef, but whatever approach is taken, it is this story line that makes a menu compelling and desirable. Finally, the design of a menu must follow the logical path that leads to financial success for the restaurant. Cross utilization of ingredients, a menu that follows the rules of tail to snout (building in 100% utilization of ingredients), consistent portioning, standardization of recipes and processes to allow for trust in how a dish will always look and taste, and consideration given to making modestly priced ingredients transition to incredible finished products through great technique is paramount to moving from a good to a great menu. Planning a menu is a complex, deeply thoughtful, and truly personal experience that should never be forced or taken lightly. It is this product that will define how a restaurant feels and looks, who the operation is able to attract for staff positions, the respect that vendors and competitors share with regard to the operation, and how the guest will perceive the operation and learn to trust it as a place worthy of their patronage.